the Vinnies CEO Sleepout event that can grow with them as the event continues to gain popularity. 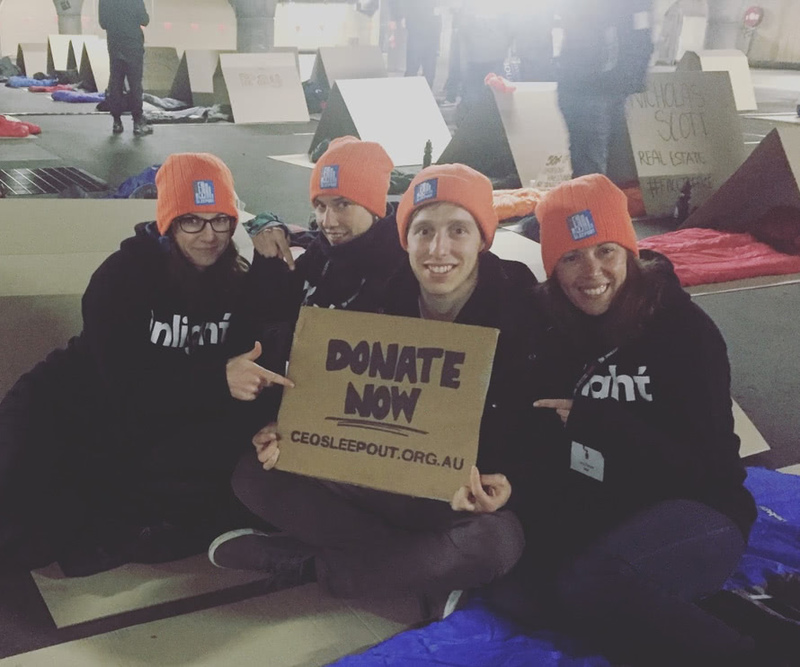 The Vinnies CEO Sleepout has become an increasing success over the past few years and has established itself as one of the most iconic fundraising events in Australia. 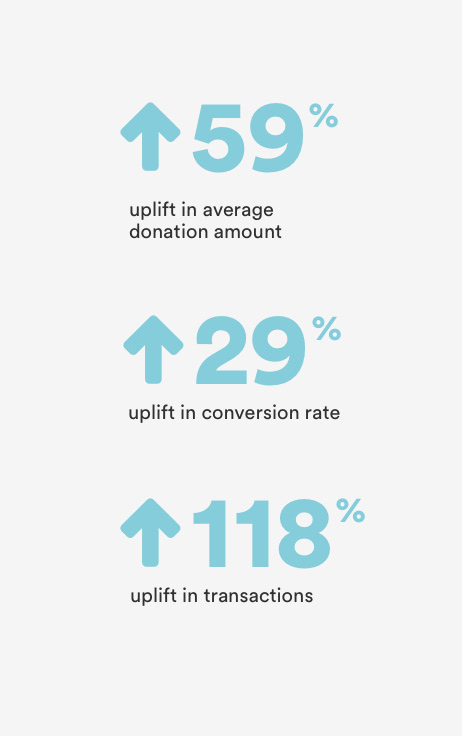 This increase had made it evident that a scalable digital solution was required to better engage with participants and donors. Choosing the best technical solution for the CEOSO meant ensuring that the St Vincent de Paul Society would receive great value for money in the short term, but also end up with a system capable of growing with the event over time. We investigated a number technical approaches and, rather than reinvent the wheel, chose to build on top of an existing crowdfunding platform called Funraisin. This allowed us to focus on bringing the website to life, as the base platform provided the lions share of the functionality and security required to run the event. In order to design a cohesive user experience we first needed to understand the intricacies of the organisation and event. We tackled this through an extensive technical deep dive, in depth interviews with coordinators and past participants, as well as a thorough user experience review of the existing website. This initial research was crucial for the project roadmap, ensuring our approach and proposed solution catered for each critical user group, and will enable the Vinnies team to realise ongoing efficiencies as the event continues to grow. 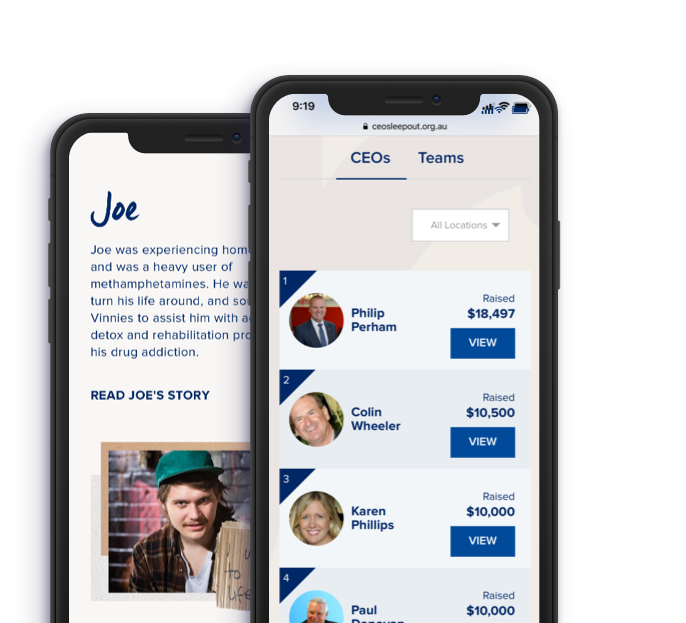 One of the key objectives we wanted to achieve was an enhanced user experience that would ultimately lead to greater interaction with the donation module. Our UX/UI approach was focused on designing optimal user journeys that addressed this objective. The new website features an entirely user centric design, addressing key needs and removing friction points in order to provide a seamless user experience. CEO’s now have greater engagement opportunities with the communities in which they are engaging to raise much needed funds. Similarly the donor experience has been completely revitalised to make the entire user journey look, and feel, world-class. 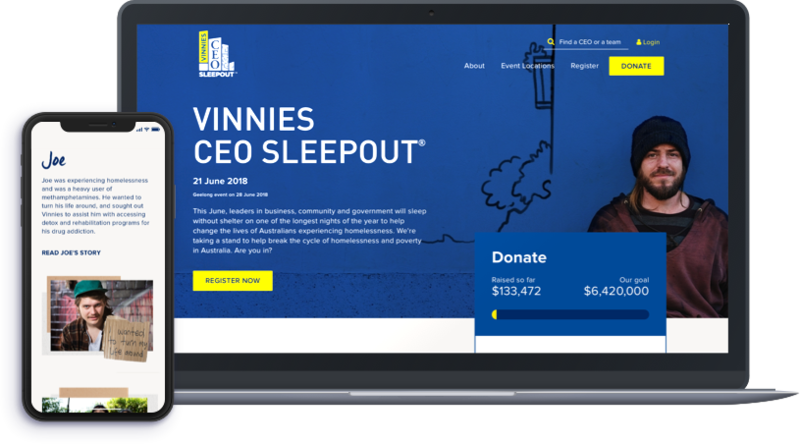 Building on our past insights from a group of super busy CEOs, we worked with the Vinnies team to redefine and simplify the entire fundraising process - setting up this year’s event to be the most successful yet! 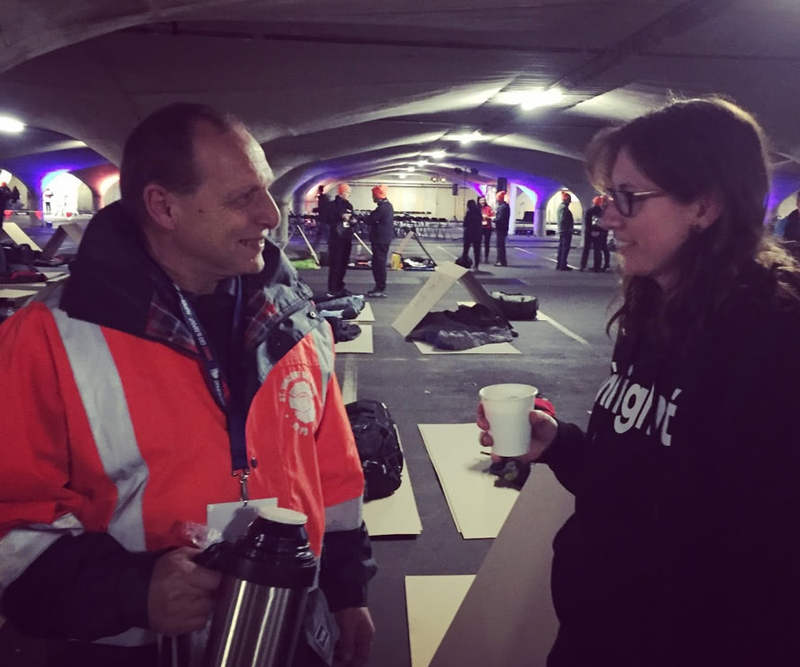 Inlight has been a great partner who has assisted us with the review of our existing website and translated the insights into a product that is user friendly for the Vinnies CEO Sleepout participants, donors and administrative staff.